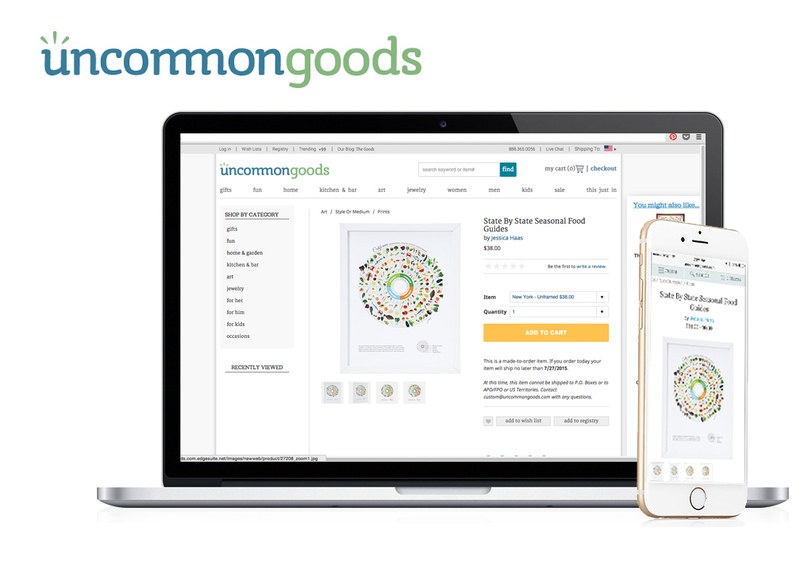 I’m thrilled to announce my partnership with Uncommon Goods! If you don’t already know the name, Uncommon Goods is an unique shopping experience for customers looking for sustainable, fun, and creative designs. This online store and (free) catalog hosts a community of artisans, designers and creative thinkers focused on craftsmanship, innovation and social responsibility. They stand true to their name. 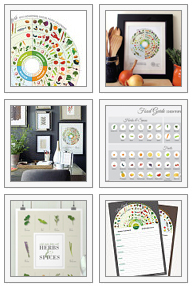 Delectable kitchen decor, these graphic calendars are also great references for cooks who like to focus on what’s in season. Like a mandala of the seasonal specialties from your choice of 13 different states, they demonstrate amazing regional bounty for farm-to-table menu planning–just glance at the graphics before heading off to your weekly farmer’s market. Made by graphic designer Jessica Haas, who did her thesis project on how design can be integrated with public health policy to decrease and prevent childhood obesity. Designed in New York City. Printed and framed in Portland, Oregon. This entry was posted in Graphic Design and tagged art print, community, craftsmanship, designs, etsy, farm to table, farmer's market, jessica haas, local food, online, public health policy, regional, seasonal calendar, shopping, state foods, sustainabilty, Uncommon Goods. Bookmark the permalink.